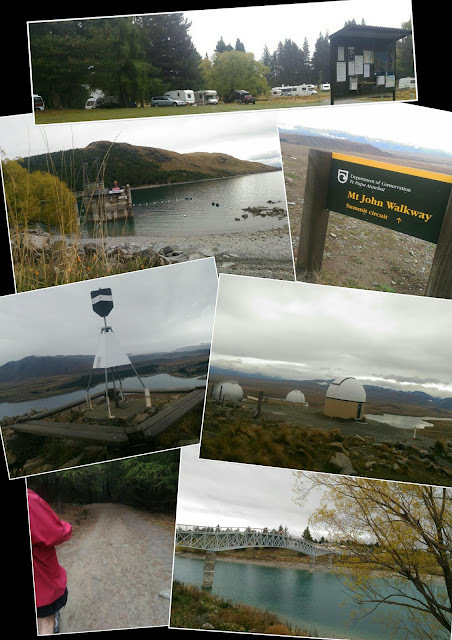 3hr walk from the Tekapo NZMCA Park to the mount John Observatory and back. Over the bridge, round the lake and up the hill, past the hot pools. You don't even need to drive. Cafe at the top and if you're more organised than we were you can take your togs and have a dip on the way down. Hot pool that is, not lake that would be rather chilly at this time of year.